Husqvarna 326Ex is an excellent edger for the demanding user, equipped with our E-TECH® II engine for increased power and better fuel economy. The front handle can quickly be adjusted using the thumb screw. A wearplate under the engine and a reinforced spark plug guard provides added protection to the unit. The shaft is curved to place the operator in an ergonomically better position. 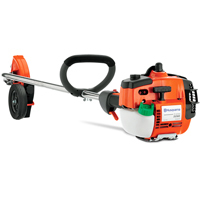 The Husqvarna 326EX Gas Edger gives you a lot of power and is easy to handle. It gives you the mobility of a string trimmer with a strong gas-powered engine. 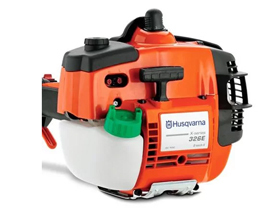 The Husqvarna 326EX is comfortable to use with its low weight, noise and vibration levels. It is ergonomically designed to make it easy to handle and provides you with good control when lawn edging. Heavy duty edger head: The 90 degree edger head is designed for tough commercial use. E-TECH® II: Exhaust emissions are reduced without compromising power.